What is a junior golf resume. Do I need a college golf resume? » Do Juniors Need a Golf Resume? 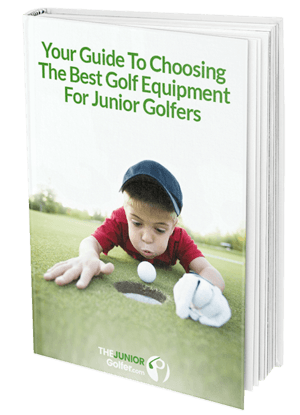 Why should juniors have a golf resume? At what age or grade do junior golfers need to have a golf resume? Why have a golf resume? What information should be included on a golf resume? Don't coaches just look at results on Junior Golf Scoreboard? What are good examples of golf resumes? Should golf resumes be online or paper? Should I provide a swing video to coaches? How should a golf resume be sent to coaches? Every junior player that hopes to play college golf should at some point have both a golf and an academic resume that is available to coaches. It is important to know how to go about creating a golf resume and also what the pitfalls to avoid are. A golf resume also helps juniors to clarify their goals both from a golf as well as an academic perspective. Very few players will be actively recruited by College coaches without having to provide a resume. Junior golfers with college aspirations should start to develop their golf resume in their freshman year of high school and by their sophomore year should be on the radar of college coaches for their selected schools. Juniors should be actively taking steps in the college recruiting process by starting to reach out to coaches by the end of their freshman year and definitely in their sophomore year. In addition, certain regional and national tournaments will require an application to gain entry and an updated golf resume is perfect for this purpose. If you really want some in depth reading, here is a PDF document of the NCAA’s Guide for the College-Bound Student-Athlete. Good quick read: Do You Want to Play College Golf: Notes from a College Golf Prep Seminar. The primary purpose of a golf resume is to market yourself and make it easy for coaches to get to know you. When so many players look alike based on their score, a resume can make the difference in helping them focus on you first. In addition, a golf resume is a great tool for coaches to know how to contact juniors. Juniors should make sure to have a golf resume that includes academic information and that can be made available to, or sent to, prospective coaches. The sole purpose of a golf resume is to provide enough information to a prospective college golf coach to enable them to decide if they are interested in finding out more about the player. A good academic record is a great selling point for aspiring college golfers. Personal information and a profile picture. Academic information and accomplishments including graduation year, GPA, SAT or ACT results, desired major etc. Basic details about home courses, coaches contact information, school information, names of school golf team coach and any other coaches such as physical training or mental coaches. Golf specific information such as highlights, recent and upcoming junior golf tournaments, last 12 month results etc. A good guideline is to provide factual information and keep it concise. One to three pages is the ideal length for a golf resume. Many juniors looking for a sport scholarship will wonder why academics are so important in the process. First and foremost, the junior will need to actually be able to get into the school from an academic perspective to even be able to play on the golf team. Secondly, college coaches are required to maintain a certain average GPA within his/her team to avoid penalties including loss of playing / practice time and funding. Therefore, if one player on a team has a very high GPA it can pull up the average for the rest of the team - a big advantage! While it is true that coaches will reference tournament results that are posted on Junior Golf Scoreboard (JGS), the basic ranking information and scores that are available on JGS will not provide coaches with academic or other intangible information that they are looking for. Additionally, a golf resume can include events that do not get reported on JGS such as USGA and AJGA one-day qualifiers, high school tournaments, and any variety of adult tournaments. It should be noted that JGS does have a popular golf resume service that will automatically update with new results that are posted on the JGS site. A one year resume subscription service on JGS is $175. JGS provides a nice golf resume example. The Tennessee Junior Golf website has 2 golf resume examples and a couple of examples of cover letters to college coaches. It also has a lot of other great information and resources for aspiring College golfers. An online resume is great to have, but do not assume that coaches will "just find you" unless you are one of the top players in your year (e.g. top 100 on JGS). You should be prepared to email a link to your resume and/or email a pdf of your actual resume to potential coaches. A pdf is a good option since you know how it will look when viewed and printed and saves coaches' time opening a link and trying to print from there. We also recommend an online resume since scores will change and therefore the resume will need to be updated over time. Some juniors like to create a website that has all their information on it and a link to the website can simply be emailed to coaches along with a cover letter. While not required, it is recommended to provide a recent swing video. This can be done through a link to your YouTube swing video(s) or to your website that has your swing videos on it. A personalized email is the right way to go. First identify the coaches you would like to send it to, then create your personalized email that includes some specifics about the school's program and your accomplishments. Follow basic communication protocols like addressing the email directly to the coach by name (not to "whom it may concern"!). Demonstrate your desire to play for them. This can be done by mentioning what you like about their program, what has impressed you watching them in tournaments or what you liked when you visited their campus/practice facilities. A comment about team accomplishments or connection to the school though family alumni also helps. Given the amount of excellent information available on the internet about the college recruiting process in general, we have intentionally tried to keep the advice in this article simple and to the point. If you have any additional tips or favorite resources please share them in the comments section below.